Late September fishing on Lake Vermilion was interrupted by rain much of the week, and those who made the best of it had mixed results. Colder than normal temperatures would have normally moved fish into their deeper fall spots, but we had reports of fish being caught in the early September depths, 16 – 28 feet, on the edges of structure. The crankbait bite continued to catch fish, and those chasing muskies again saw some, missed some, and boated a few smaller ones. Bass stayed active; in fact, Justin Heizler was surprised to pick up not just one, but two big Largemouth Bass while tossing big baits. Pretty unusual for this time of year. 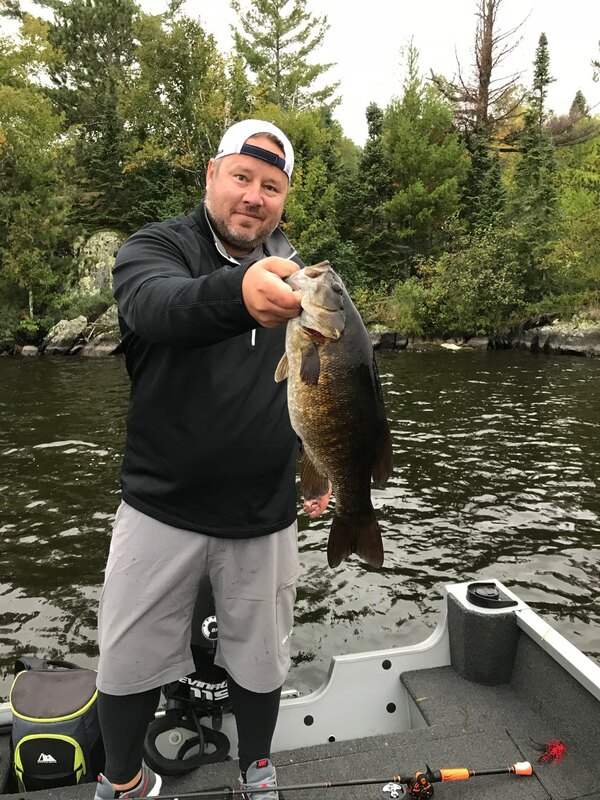 Derek Rooney shared the picture above of his September Lake Vermilion smallie. Several groups reported catching a good number of walleyes, with many future eaters in abundance. There were some limits for the skillet caught, and a handful of slot fish as well. Some of those we heard about include a 22″ for Nick Vento, a 22″ for Doug Gray, a 21″ for Ken Hakre and a 20″ for Jeff Van Dyke. Minnows were the bait of choice in most cases. The Lake Vermilion water temp hovered in the mid 50’s most of the week, but finally dropped down to 51 degrees by the weekend. Shallow bays fell to the mid to low 40’s.